During our stay, Nicole remarked that it's like living in a fairytale. Brightly colored, exposed beam buildings and windy cobblestone streets. The perfect base for exploring Alsace's wine region. The best place to drink wine in Colmar. Pay between €1.50 and €2.50 per glass for local wines and enjoy them at the outdoor picnic tables. We wish more towns had places like this. To me, this is a cheese shop; To Nicole, this is heaven. 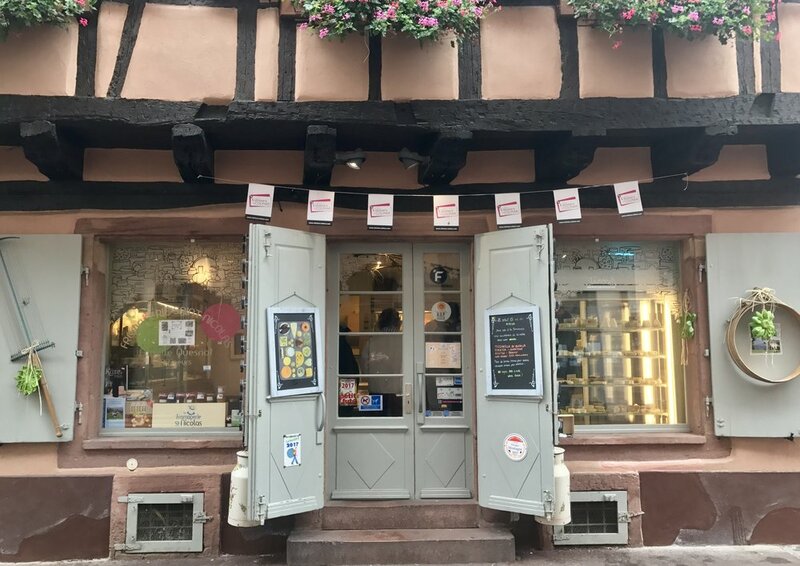 Colmar's covered market is a great place to purchase fruits, vegetables, and any other grocery needs. For us, it was the place to stock up on food that we cooked at the Airbnb.